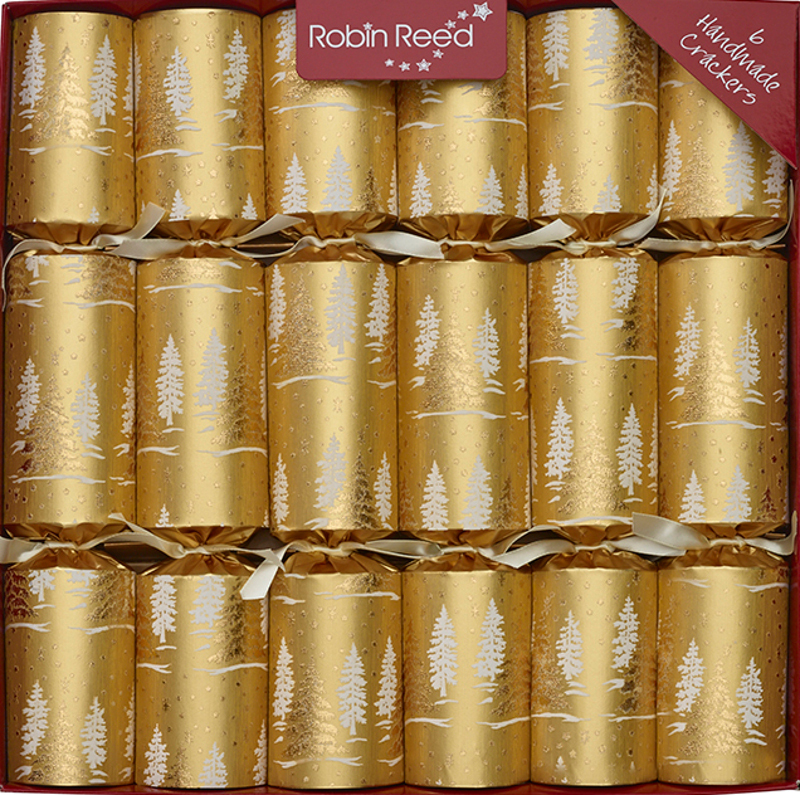 Classic gold Christmas crackers with forest trees. These stylish gold crackers, featuring snowy fir trees, are finished with white satin ribbons. 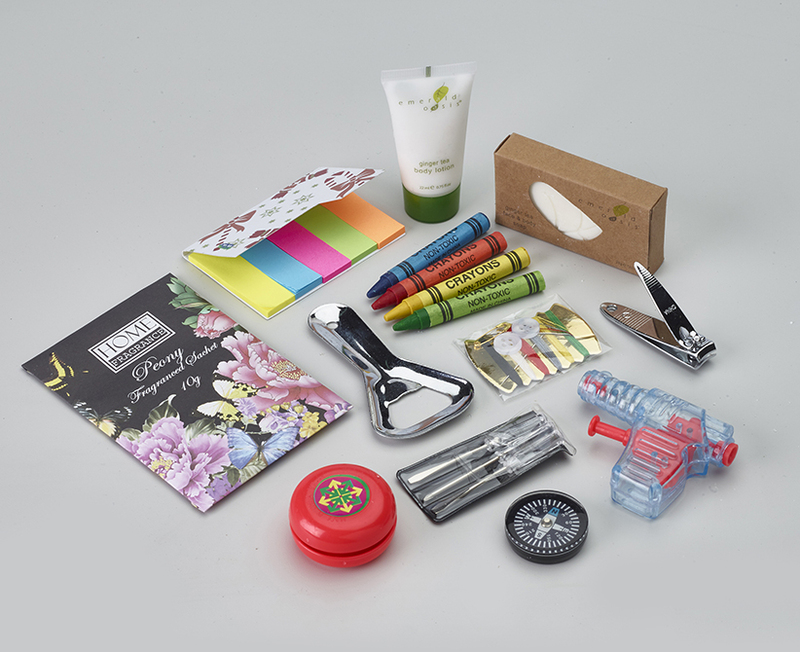 Each cracker contains a snap, a Surprise gift, an amusing joke and a deluxe party hat.